TiVo may have invented time-shifting, but the past few years haven’t been kind to this company unsure how to cut a profit.Then, someone inside TiVo HQ must have realised, oh right, INNOVATION! That’s the ticket! The TiVo Premiere is the smallest TiVo yet, a thin and diminutive box that holds only one CableCard and still lacks Wi-Fi (a $90 802.11n adaptor will be available this May, plus you can pick up a $30 TiVo powerline adaptor). 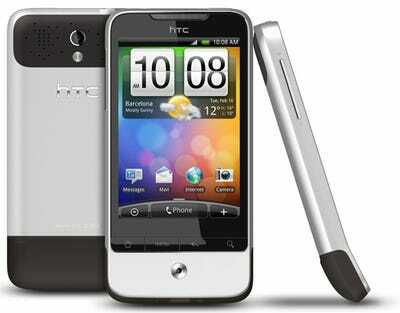 It hides a multicore processor inside that drives a new, HD UI that previews your program at all times. That’s right—no more going into Now Playing only to lose the stream of your show. Despite the redesign, you'll find the experience is remarkably familiar. The basic fonts and menus are unchanged, with a few key differences. Most importantly, instead of seeing one page at a time (like being in Now Playing, then clicking to a new screen with a particular show), you see two pages at a time--a logical design update to the widescreen format that speeds up navigation enormously. A disk space meter. Show titles change colours once watched. The 30-second commercial skip? That's been programmed into a dedicated 'scan' button that flashes half a minute by in just a handful of frames (to keep advertisers happy). Plus, I have it in good faith that TiVo won't be eliminating the classic 30-second skip, either. Of course, you've already noticed the top bar filled with show icons. That's basically a list of suggestions that shift dynamically depending on what you're watching at the time. I have a feeling TiVo is finding a way to make money off that thing, but you know what? That's OK if they're offering content to me based upon what I like. Even though the Series 4 still makes you pay for a Wi-Fi dongle (ridiculous, right? ), it's truly an internet machine. Imagine if TiVo and IMDB made a baby. That's exactly what you get. Swivel Search, which allowed you to search for programs by criteria like actor and keyword, has been built in to the very core of Series 4, and it's got internet access. So say you're watching 30 Rock and you decide, that Jack Donaghy is an interesting guy. I want to see more of his work! A few clicks takes you to Alec Baldwin. A few more? You can access pretty much anything Alec Baldwin's been in--but not just within your cable subscription. 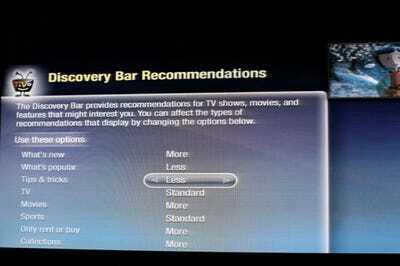 You'll see Netflix streaming options. Amazon Video on Demand. Blockbuster on Demand. YouTube clips, even. Or you can find an Alec Baldwin movie that will be in the theatres in several months. Then? 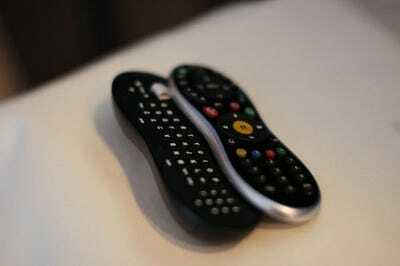 You can program your TiVo, right then, to record that movie whenever it's finally on cable. And I should add, none of this advanced search is forced upon you. Much like IMDB, the information is just there if you choose to dig deeper. If we have one criticism regarding the Series 4 (other than the lack of integrated Wi-Fi, yes, I'm gonna hammer that point home), it's that there's nothing all that flashy about it. Yes, this point is a quibble, but an important quibble all the same. Those accustomed to flipping through their Netflix queue on a modern, powerful machine like the Xbox 360, those accustomed to the seemingly endless media oomph of the PS3's animated XMB previews and photo collages, may be disappointed in the Premiere's general lack of flare. I'd love to see a few more UI treats--tiny, tactile animations that smartphone programmers are so wickedly good at designing--built in to the core UI. There's no doubt, the Series 4 is a smart machine. I just want to make sure that TiVo doesn't become an old maid, but rather a naughty librarian with a sense of adventure. I'm not sure whether or not, just by glancing at it, the Premiere will be enough to woo the average consumer again. And that's something that TiVo very much needs to do. Smooth, but groundbreaking? Not so much. TiVo's Series 4 box is superficially, well, just another TiVo box, but that's not the point--all set-top boxes are boxes, and if they were anything else, they wouldn't be set-top boxes. It's what's inside that counts, and that's where the Premiere's newness is. The new TiVo interface is recognisably TiVo-y (and almost exactly like what was previewed back in 2008), and just as recognisably fresher--there are fewer tacky shine effects, and more soft gradients. It's kind of a natural progression for the original interface, which was designed with SDTVs in mind, to a more HD-ready take on the same concept. It's based on Flash, and while you can't really tell now, Tivo's said that the platform is extensible with some kind of app store-type platform, from which you can download Flash Lite-based apps, very little of which TiVo has made specific commitments about, but which is coming, in one way or another. This could be what makes the Premiere a gamechanger, whenever it happens. In terms of content, TiVo's taken a hard turn online: as Mark put it, it's as if 'TiVo and IMDB made a baby,' which is to say any TV show or movie you're browsing is augmented with context and metadata, pulled from online. A minor feature which is actually kind of huge is that if you look up a film or show, the Premiere plants icons for the integrated streaming services--Netflix, Blockbuster, Amazon, etc--to help see if a download or play option is available. The integration is smooth, and the concept natural. But groundbreaking? Not so much. The optional QWERTY remote will be very familiar to anyone who's used TiVo for more than five minutes, excepting the giant freakin' keyboard that slides out of the side. Integrating the keyboard into a peanut shape was risky, and it didn't really pay off: The keyboard itself isn't overly large, but the fact that it's flanked by two large endpieces makes reaching the centre buttons tough, even for the large-handed. Anyway, it's more merciful than generous, since navigating any amount of text-oriented web content with the regular ol' peanut is mildy hellish. I suspect a lot of folks will spring for this one, even if the necessary Bluetooth dongle (not to mention the remote itself) costs. Granted, a lot of people are going to end up with a Series 4 DVR subsidized by their TV provider, and then, yeah, it's going to be a nice step up from whatever terrible TI genero-box they would have had otherwise. But TiVo's breathless invite to this launch (Inventing the DVR was just a warmup!) doesn't ring true. Is there something else on the way? Is everyone missing something? mean, I'm glad TiVo discovered the internet and all, but this kind of stuff is baseline nowadays. * TiVo Premiere XL box is the first HD product to feature THX® Optimizer™, a video calibration tool that lets users fine tune colour, black levels and other settings to improve picture quality. Hailed by critics for its ease-of-use, the exclusive THX Optimizer for TiVo Premiere XL box is found in the My Shows menu of the TiVo service. A pair of THX Optimizer Blue Glasses, designed for adjusting colour and Tint settings, is included with the owner's manual. 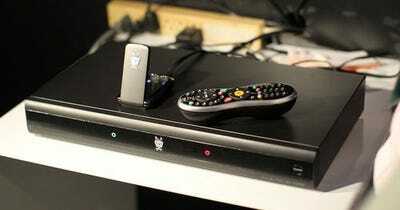 TiVo Premiere and TiVo Premiere XL boxes will be available in retail nationwide in early April. They are also available for pre-order today at tivo.com for $299.99 and $499.99 respectively.